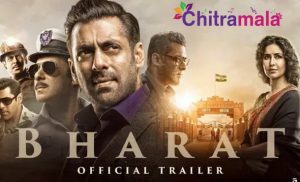 The trailer of ‘Akira’ was released recently and the action scenes were commendable. The buxom seductress turned slim hottie has the other day posted a picture on social media showing the injury she sustained while shooting for ‘Akira’. 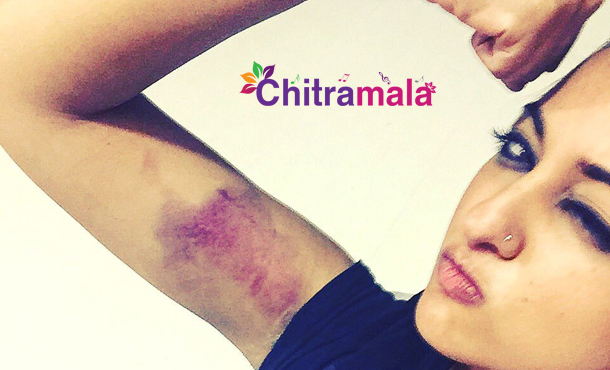 Sonakshi added that the injury is a sweet reminder for the hard work she put in for Akira. Directed by sensational director AR Murugadoss, Akira has Sonakshi playing the heroine, who kicks villains left and right. Sonakshi seems to have worked hard on her physique to impress the audiences as an action star. It may be noted that Murugadoss has earlier directed Sonakshi Sinha in ‘Holiday,’ which had Akshay Kumar playing an army officer.